… she’s carrying his baby! 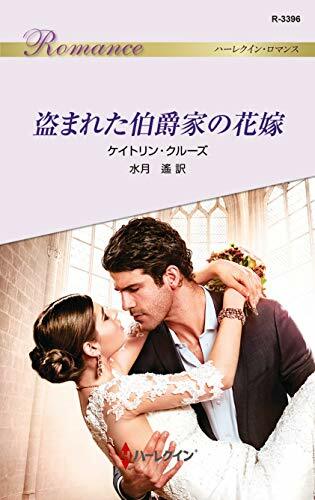 Dutiful heiress Sophie has never challenged her gilded existence, even agreeing to a convenient marriage at her father’s command. Until she meets ruthless Sicilian Renzo – one carnal night awakens unimaginable desires, and leaves her pregnant! 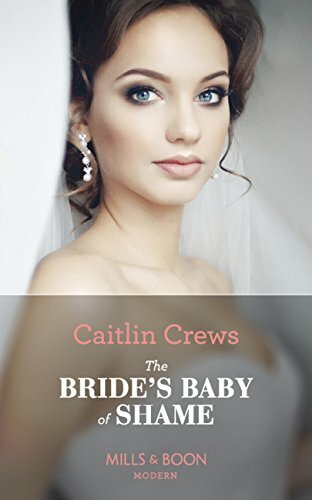 When Renzo uncovers her secret, he’ll stop at nothing to legitimise his child—including storming Sophie’s wedding and stealing her as his own bride! 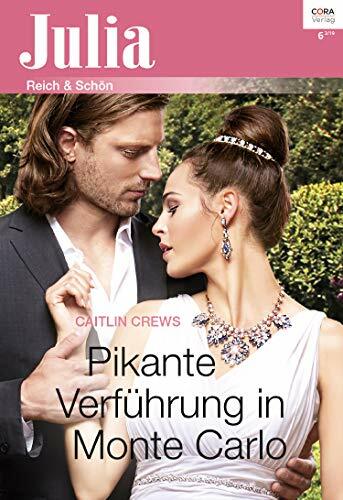 This is book two in the exciting Stolen Brides duet with Jane Porter! 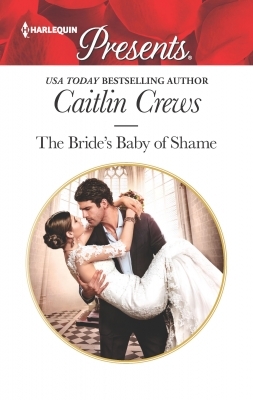 Follow Caitlin's The Bride’s Baby of Shame board on Pinterest. He was no fan of great, sprawling London, choking on commuters and tourists and lumbering red buses wherever he turned. He disliked the countryside, oppressively green and ever damp. He preferred his native Sicily, its mountains and sweeping Mediterranean views. England was too dour and grim for a man who had gone from the colorful streets of his hometown to a career racing impossibly fast cars all over the planet. He might have retired from racing, but that didn’t change the fact that he was a Sicilian. In his opinion, that made him the best of Italy plus that little bit extra—and it meant he was fundamentally unsuited to what the English called their summer. Even on an evening like tonight in late June, the English sky was wringing itself out, much colder and rainier than it ought to have been in Renzo’s estimation. He preferred his own small village in the mountains outside Taormina at this time of year. A warmer sea in the distance and a happier sun to go along with the sweep of all that history, with Mount Etna rising in all her glory above it all. Instead, he found himself just outside Winchester, England, winding in and around rolling hills so far out into the countryside that there was hardly any light. There had been a towering cathedral rising up over the medieval city, but still, Renzo preferred the battered, ageless wilderness of the Sicilian countryside to all this manicured charm. He’d felt hemmed in as he’d driven through the Winchester city center before heading out to the surrounding fields. He wished he’d followed his initial knee-jerk reaction to this whole situation weeks ago. Because Renzo had known Sophie Carmichael-Jones was nothing but trouble the moment he’d laid eyes on her. Steer clear, something had whispered inside him the moment he’d seen her, like a kick in the gut. But he’d paid that foreboding voice no mind. Renzo had been in Monaco for the annual motor race, though not as a driver. He’d stopped racing while he was ahead and still in one piece several years back, and had channeled his notoriety into a line of clubs, a few select hotels dotted around Europe, and a vineyard back in Sicily. And where better than Monaco to advertise to the very high-class, European clientele he hoped to serve? He’d been enjoying a drink with some friends when he’d happened to look up and see her. She had glowed. That was the first thing he’d noticed, as if she’d walloped him with all that shine. She’d worn a metallic gown that had been perfectly demure on its own, but that hadn’t been the source of all that light. That had come straight from her. Renzo was no stranger to beautiful women. They flocked to him and he, in turn, considered himself something of a connoisseur. But this one... Her dark hair had been pulled back with a certain insouciance, only a few tendrils escaping and showing the faintest hint of a deep copper beneath the lights. Her lips had been painted siren red, her brows were dark, and she’d worn large, gleaming earrings that Renzo had known in an instant were real despite their size. She’d looked elegant. Chic. Endless legs that suggested a certain coltishness and that lovely, inescapably aristocratic face. But her eyes, brown and shot through with gold, had been so sad. Their gazes had collided, there on the floor of the Casino de Monte Carlo. Renzo had lost his train of thought. Not something that often happened to a man who’d made his name and his first fortune thanks to his singular focus and steady hands. He’d stood up from his table, crossed the floor, and found himself standing before her without knowing he’d meant to move. He had been aware of everything about her, there in the middle of a crowd that he’d hardly noticed. She’d caught her breath. He’d seen color high on her cheeks. And he’d known that the chemistry he could feel, electric and intense, was affecting her, too. Her lovely lips had curved, and Renzo had wanted nothing more than to taste that red-slicked smile. Then, there. He wasn’t fussy. “While you strike me as far too sophisticated for such idle flattery,” she’d replied. And they’d both breathed a little heavily at the contact. He’d been aware of his own heartbeat, intense and demanding. He’d seen her pulse, there in the column of her neck, drumming out the same insistent rhythm. He would never know how he had restrained himself from leaning over and covering it with his mouth. It had been as if they’d made lightning between them, such wild electricity he marveled the whole of Monaco didn’t burst into flames. It was as if their skin could scarcely contain it. Renzo had known then and there that he would be inside this beautiful stranger within the hour. “I don’t believe in immolation,” she’d said, though her voice was hoarse. She had shuddered. She had swayed slightly on her feet. She shot a look over her shoulder, somewhere through the crowd, then had returned her attention to him. He could read her need and better yet, her surrender, all over her face. Renzo had wasted no time. He took her hand in his and led her to the private exit, where he could retrieve his car without any interference from fans or photographers. In moments, they’d been speeding away, up into the hills toward the villa he maintained far above glittering Monaco and the Côte d’Azur spread out below. She had shifted beside him, all sleek lines and the quiet, humming intensity of her considerable beauty—so much like the cars he loved and handled the same way he intended to handle her. With all his skill and focus. With all the acute ferocity that had propelled him to the top of his profession. There was a reason Renzo had never had a crash. And he didn’t plan to change his record that night, not even for this mysterious woman who’d already had him tight and hard and greedy when all he’d had of her was a brief touch of her hand. It was as if he’d never had another woman in his life. “You can call me Elizabeth,” she’d said. It was the first lie she’d told him, Renzo thought now, trying to tamp down his temper. But it was nowhere near the last. He pulled his car over to the side of the road, near what looked like an abandoned old croft—or whatever it was they called their falling-down sheds in this part of England. He cut the engine and unfolded himself from the low-slung sports car, adjusting the ends of the driving gloves he wore out of habit as he stood there beside the vehicle and attempted to access his usual, legendary calm. The motor made its noises, as if protesting that he’d cut the drive short. The summer rain had let off, but the night was still cool. Renzo flipped up the collar of his leather jacket against the pervasive damp and checked his watch, impatient. And perhaps something a good deal more intense than merely impatient, if he was honest. Because he had a score to settle with the woman he was meeting here, off in the middle of nowhere, so late at night in a foreign country. As if he was answering a summons. As if he, Renzo Crisanti, were so malleable and easily led he would travel across the whole of Europe for a woman he had already bedded. His fingers stung and he released them, unaware he’d clenched his hands into fists at his sides. At first he thought it was just a shadow, moving rapidly down the hill from one of England’s grand old houses in the distance. The directions she’d sent had been explicit. This country lane to that little byway, skirting around the edges of stately manors and rolling fields lined in hedgerows. But the more he watched, his eyes adjusting to the inky dark, the more he recognized the figure approaching him as Sophie. Sophie, who’d given Renzo her innocence without thinking to warn him. Sophie, who had called herself Elizabeth on that long, hot, and impossibly carnal night in Monaco. Sophie, who had lied to him. To him. Sophie, who had sneaked away while he slept, leaving him with nothing—not even her real name—until she’d chosen to reveal it in the most humiliating way possible, in a hastily mailed newspaper clipping. Of Sophie Elizabeth Carmichael-Jones, daughter of a wealthy and titled British family, who was engaged to marry an earl. Sophie, his Sophie, who would be another man’s wife in the morning. Renzo’s jaw ached. He forced himself to unclench his teeth, and his fists again, while he was at it. He was a man known far and wide for the boneless, lazy manner with which he conducted both his business and his pleasure. It was his trademark. It was a mask he had carefully cultivated to hide the truth—that he was a true Sicilian in every sense of the term, especially when it came to the volcanic temper he’d spent his life learning to keep under strict control. This woman made him a stranger to himself. She skidded a bit on the wet grass at the bottom of the hill, then righted herself. And her swift, indrawn breath as she started toward him seemed to crack through him like thunder. There were no lights out here, lost somewhere in England’s greenest hills, for his sins—but Renzo could see her perfectly. He’d meant what he’d told her in Monte Carlo. He would know her if he was blind. But this was not the time for such things. Not when there was so much to discuss, and her with the wedding of the year in the morning. She was wearing a simple pair of leggings tucked into high boots and what looked like long-sleeved shirts, layered one on top of the other. Her clothes molded themselves to her trim figure and showed off the sleek, sweet curve of her behind and those long, long legs he’d had wrapped around his shoulders while he’d thrust deep inside her and made them both groan. Her dark chestnut hair fell down all around her, looking like a soft black curtain in the darkness. She stopped before him, and for a moment, all he could think about was that night. She’d been sitting naked in his bed, laughing at something he’d said while she’d piled her hair on the top of her head and had tied it in a knot. So simple. So unconsciously alluring. Then, and now when he knew better. So devious, he reminded himself harshly. But what he remembered most was that he’d had her three times by then. It was a hunger he couldn’t contain, couldn’t reason away, couldn’t even douse afterward when he’d wanted to think of other things. It had been weeks and yet here it was again, as voracious and as greedy as it had been that night in Monaco. Worse, perhaps, because he had tasted her. Because he knew exactly what he was missing. Renzo thought he likely vibrated with his need for her, only now it made him as darkly furious as it did hard. She said his name quietly, tipping her head back so she could look him in the eye. And if her eyes were sad, or resigned, or anything else at all, he told himself he didn’t care. “How nice to see you again, Sophie,” he said in English, a language they had never spoken to each other. He saw her shudder at the sound, but he forged on, unwilling to permit himself to do anything but what he’d come here to do. Which was make her pay. will be available for preorder soon in print and digital.